New York’s iconic High Line is inspiring other cities to repurpose and green-up disused elevated railway lines. Representing residents, businesses and community groups of Camden Town district in north London, local business group Camden Town Unlimited organized a crowdfunding campaign to help transform a portion of an old railway line connecting Camden Town and King’s Cross into a vibrant green space. 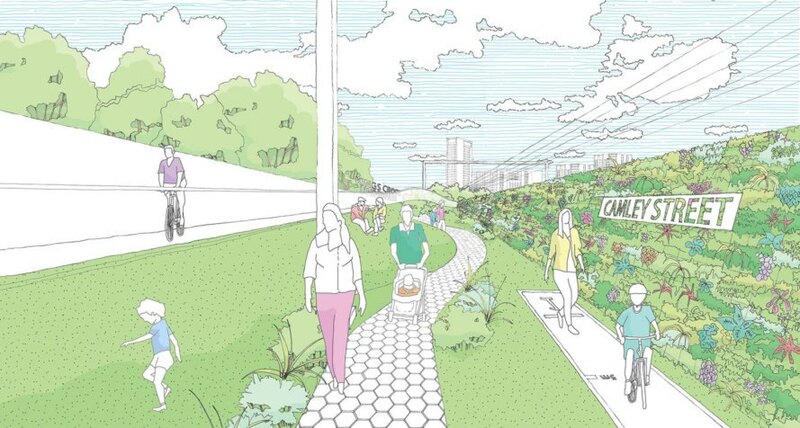 The Camden Highline would run for nearly a kilometer, linking the world-famous Camden Market with the recently redeveloped King’s Cross area by a 10-minute walk. 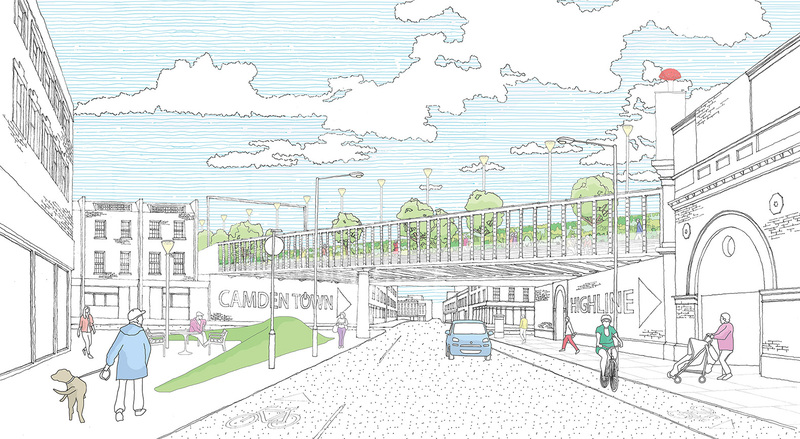 Camden Town Unlimited teamed up with Network Rail to figure out the technical feasibility of the project, and is now looking to start construction. The new crowdfunding campaign will help finance events and workshops aimed at bringing this project to life. It will run for 100 days or whenever it reaches its £40k target. New York's iconic High Line is inspiring other cities to repurpose and green-up disused elevated railway lines. 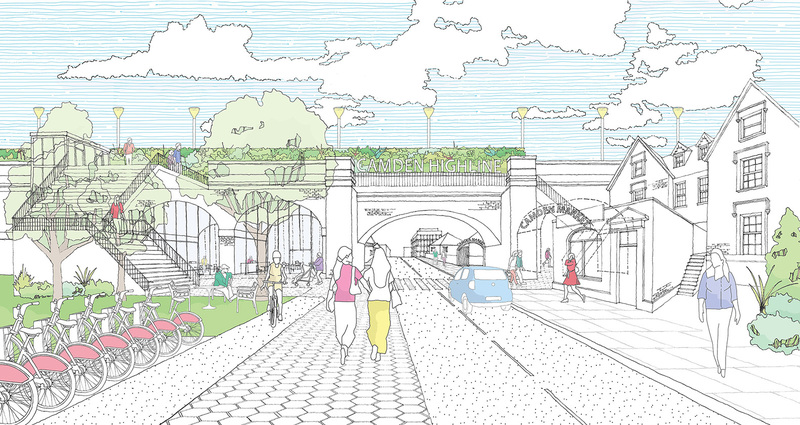 Representing residents, businesses and community groups of Camden Town district in north London, local business group Camden Town Unlimited organized a crowdfunding campaign that will transform a portion of an old railway line connecting Camden Town and King’s Cross into a vibrant green space. The Camden Highline would run for nearly a kilometer, linking the world-famous Camden Market with the recently redeveloped King’s Cross area by a 10-minute walk. amden Town Unlimited teamed up with Network Rail to figure out the technical feasibility of the project, and is now looking to start construction. “People in Camden have been talking about this for years. 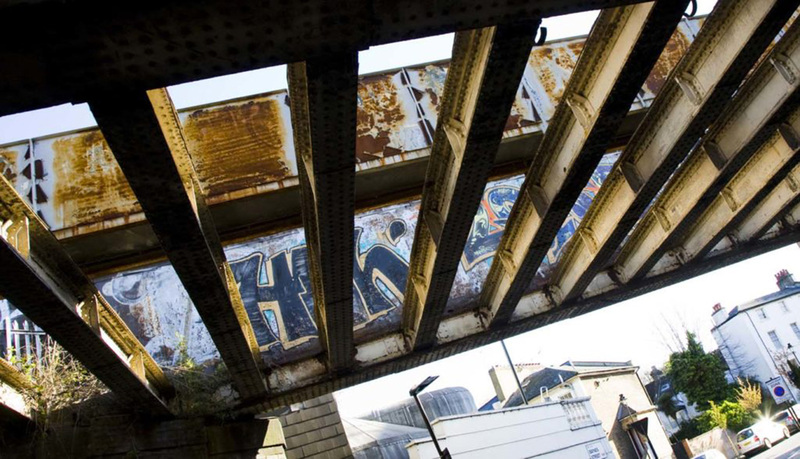 Now we’re putting our money where our mouth is to make this happen," said Camden Town Unlimited Chief Executive Simon Pitkeathley about the campaign. The new crowdfunding campaign will help finance events and workshops aimed at bringing this project to life. It will run for 100 days or whenever it reaches its £40k target. 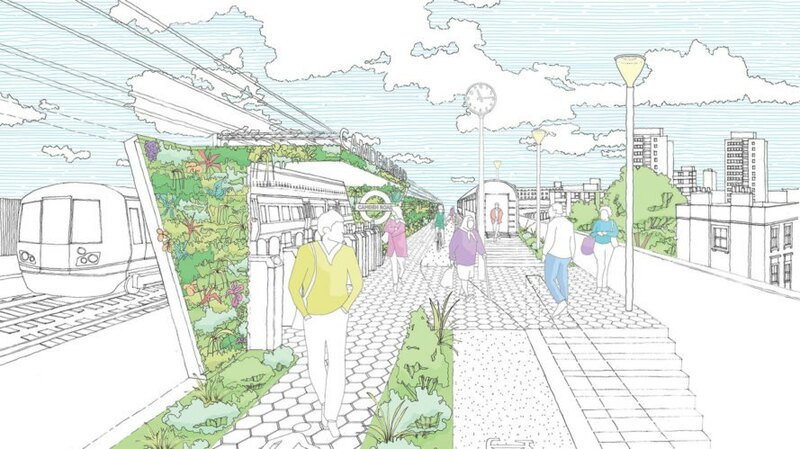 New York's iconic High Line is inspiring other cities to repurpose and green-up disused elevated railway lines. 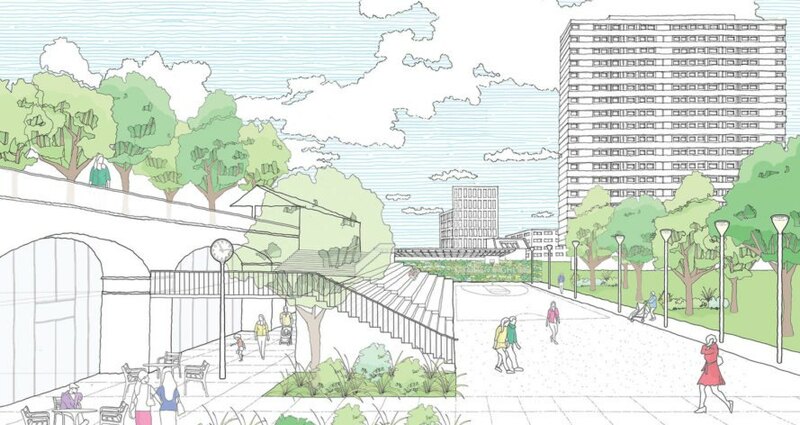 Representing residents, businesses and community groups of Camden Town district in north London, local business group Camden Town Unlimited organized a crowdfunding campaign to help transform a portion of an old railway line connecting Camden Town and King’s Cross into a vibrant green space.